Executive coaching is too often accomplished by people with limited business ownership or senior management experience. You deserve an executive coach who has been through the practical experience of owning and operating a multi-million dollar company, been a senior executive of a large corporation as well as someone experienced as an executive coach. That is what we offer. 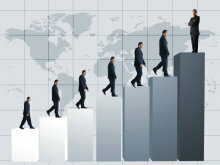 Leadership Dynamics Group staff have been executives of large organizations, and operated multi-million dollar companies. This practical, experience based factor, coupled with years of personal and management development with other organizations, enables us to provide a wide range of expertise to assist your current organizational needs. Our professionals, who having actually undergone the startup, development and uncertainties of building a company, are available to assist, as needed, in working with you or your executives on key issues, or to simply fine tune their skills. Who do you talk with about sensitive matters? Talking with another person within your own organization is sometimes simply not feasible. This is where we can act as an outside sounding board. Bringing objective views to help you look at the problem in different ways or perhaps alternate solutions. Our job is to help you identify actions and alternatives, not to make decisions. There are other times when an executive simply needs to get back to basics. To sharpen skills and learn other methods. Leadership Dynamics Group has proven, structured methods for working with you as an individual or in a small group to learn and develop desired skills that will make you even more successful. It might be that you simply want an unofficial board of directors to help with solving problems on various occasions. We can be of service. come to an experienced business organization.